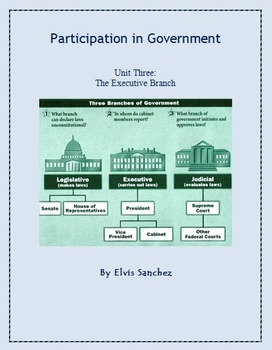 This exciting high school unit examines the Executive Branch of American Government. SWBAT identify the President’s many roles, describe the role of the Vice President, describe the President’s major Legislative and Judicial powers, identify the major elements of federal bureaucracy, and more! The unit includes a PowerPoint review, current political cartoons, instructions to write a position paper and rubric, vocabulary, quote analysis, study guide, test, and more!